Batu Kawan Holdings Sdn Bhd, a wholly-owned subsidiary of Batu Kawan Berhad, is involved in the business of letting out office space of its commercial building - Menara KLK (previously known as Menara Batu Kawan). 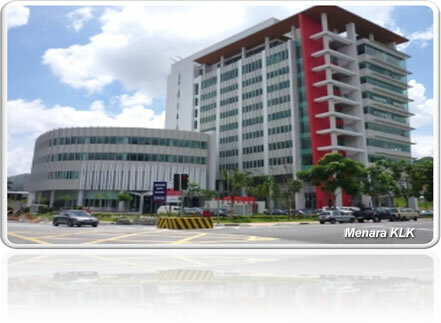 Menara KLK is an 11-storey commercial office building, which includes a 4-storey podium and a 2-level basement car park. The building was completed in March 2009 and has 137,000 sq ft. of lettable office space. It is located in Mutiara Damansara, Petaling Jaya next to Tesco, Ikea, The Curve, Ikano Power Centre and Cineleisure Damansara.